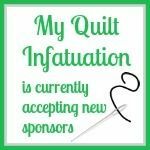 My Quilt Infatuation: August Sales and Giveaways! It's the middle of the month, so that means it's time for a brand new post to let you know what's happening at my favorite fabric shops. I have a couple of great giveaways today too, so read on! 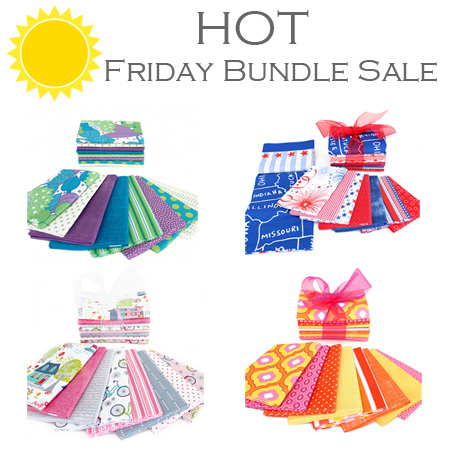 Fort Worth Fabric Studio is having a Hot Friday Bundle Sale. You can get 20% off with the code FRIDAY20 through this Thursday, 8/18 so don't delay! Check out all of these fabulous goodies HERE. I'm super excited to let you know that Fort Worth Fabric Studio is giving away this adorable Gigi Blooms zipper pouch, and a little birdie told me that it is sure to be filled with goodies! 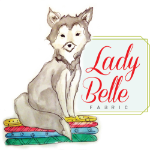 At Lady Belle Fabric, there is something equally fabulous going on. Right now, all clearance bundles are 30% off (no code required)! And last, but certainly not least is the Fat Quarter Shop! At the beginning of each month, I always love checking out their Monthly Picks. 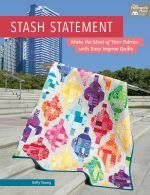 They choose a basic, book, notion, and pattern each month, and you can save 20% on those picks all month long! 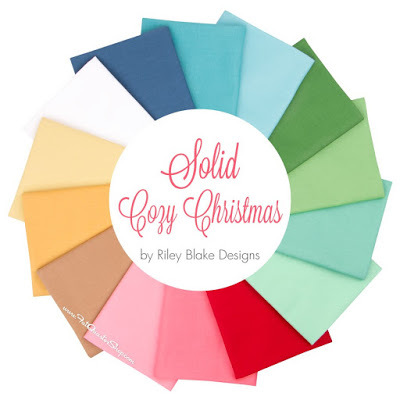 This month's basic is the Cozy Christmas solid bundle by Riley Blake, and I think these colors are just so fun. Fat Quarter Shop is sponsoring the second giveaway of the day, this oh so cheery Merry Moda Mix bundle. 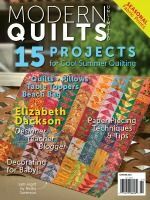 This is just perfect for all of those holiday projects that you know you'll be sewing in a couple of months! Okay friends! To enter these two awesome giveaways, just leave a single comment on this post. Remember to leave an email address if you're a no-reply blogger, and only one entry per person please! Unfortunately, replies to your own comment counts as an entry (the system numbers those, too), so remember to put your email address in your comment. Additional replies/comments/entries are always deleted. I'll announce the winners this Saturday, 8/20. These giveaways have now closed. Thanks so much to all who entered! If you missed out, be sure to follow by blog reader or email. I host fantastic giveaways every month! Best of luck to all, and happy shopping! These are all lovely giveaway prizes. Thanks for the chance! I appreciate the time you put into your blog. Thank you! Such a nice give-away in the middle of the month! Please enter me into the giveaway for these awesome prizes! 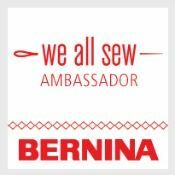 I'd love to sew with any of them! Thank you for the post and the chance! Have a great day! Where did the summer go? I have a stack of projects to get finished before summer ends. It is possible to hold summer back just a week or two? With new fabrics come thoughts of new projects. I love it. Nice fabrics for holiday sewing. I have my fingers crossed. vlhill3459(at)sbcglobal(dot)com. Merry Moda Mix is mahvelous! I'm going to have to investigate that Merry Moda Mix (and hope I don't have to say that too often!). I need something for a Christmas quilt and haven't found quite what I'm hoping for. This looks like it could be the solution. Wow! I'd love to win. Love your blog Kelly and thanks of the giveaway, I really must make myself a christmas quilt and the Merry Moda Mix bundle would be perfect. Thanks for the update on the great sales and for the chance in the giveaways! Winning either of those would be awesome! Wonderful giveaways. I, too, like seeing the monthly picks at FQS. Awesome giveaways, thanks for sharing! Hi such a sweet Giveaway ! 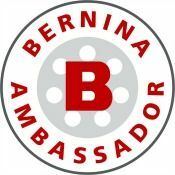 Thank you's to You+Your Sponsors ! Thank you for the chance to win! I love the zipper bag. Thanks for the information on these great sites! Thanks too for hosting the great give-a-ways. I am going to have to check out that Merry Moda Mix! I haven't seen it before! Thanks for the chance to win. Thanks for all the great deals and giveaways! I love your posts that introduce shops and their fabrics. Thanks for the eye candy and the great giveaways. Your sponsors are wonderful! Thank you for the sale updates and fun giveaways. Thanks for keeping us posted on all the great sales. 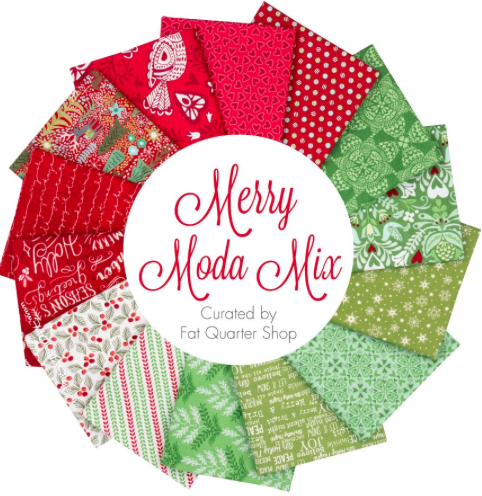 Love the Merry Moda Mix! How wonderful. Thank you for the opportunity. Gotta love FQS, they are the best. Love the Christmas fabrics. Would love to win some Christmas fabric. Thank you for yet again sharing great links to on line shops. When I saw your first picture, I thought it was some little paper-pieced dress blocks! Then i opened my eyes a little more, drank some more coffee, and finally saw that it was some delicious fabric bundles :) Either way, they look like fun! Great fabrics-love the bright colors. Who can't use a zippered pouch-right? Wonderful giveaway! Lovely fabric colors. I always look forward to reading your blog and seeing something fetching and beautiful! I've really been enjoying your blog--fresh and different! Lovely collections. Thank you for sharing! Your emails notifying me of another post you've done are one of the first ones I always read right away. I love your work. And just LOOK at all those gorgeous colors! Thank you so much for the opportunity to win some of them. I love those Christmas prints! Thank you and your sponsors for the great prizes. what lovely fabrics. great give a way. thanks for a chance. such a cute pouch. July's heat, and now into August w/heat and humidity has me stitching up lots of holiday goodies. Merry Moda is on my list and solids/blenders too. Gigi Blooms would be a perfect gift for a gal on my September list. Thank you Kelly, FWFS, and FQS. 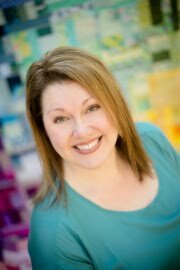 Kelly, I so appreciate all that you do for the quilting world! Thank you and thank you to your sponsors. Love both the zippered pouch and the FQ bundle! Love all the Christmas fabric...what fun goodies we could make. Thanks for the chance to win. Christmas doesn't seem that far away now. In Australia, the Christmas decorations start hitting the stores at the end of August/beginning of September. Thanks for the giveaways. I love that there are so many choices in solid fabric colors right now. Thanks for the giveaways! I'm reorganizing my fabric shelves today to make room for more fabric. Then it's back to Christmas sewing. Thanks for the giveaway. rjc2cam@gmail(dot)com. 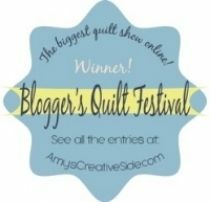 I’m not a blogger, and not sure how to enter for the giveaways. I love the Merry Moda Mix, and all the Lady Belle 30%off bundles. These look great. What an awesome Christmas bundle! Thank you for all of the sales information, and for the awesome giveaway! New sewing machine. New fabric. Happy face. I just bought a fat quarter bundle from Lady Belle, great price and service, and I love Bright Sun fabric. Thanks for the giveaway!! That Merry Moda Mix bundle looks wonderful! I would love to win any of these, thanks for the chance! These are great giveaways. Thanks for letting us know about them. Thank you for these great prizes. Thinking of you and your entire state with the horrible flooding. May sunshine and peace be with you. I'd love to win the adorable Gigi Blooms zipper pouch filled with goodies! The Christmas fabric is lovely! I know I'm slow thinking about Christmas, but I'm starting to get excited for Christmas sewing! Thank you for offering such lovely giveaways. I loved all your giveaways. Always something good on your blog...thanks for the giveaways! Thanks for the giveaway. I love taking my time looking at all your wonderful quilts. Lots of inspiration. What a fun drawing. ThAnk you for the chance to win these goodies. My email is colbydog.ae@gmail.com. Great giveaway! I love the pouch! Thanks for the great giveaways. Thanks! 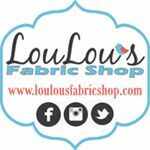 Great choices of fabric bundles. Thanks for the giveaway! I hope your parents cleanup goes smoothly! Thank you sponsors! Love the cute pouch! Thanks for the giveaway! I love the Merry Moda! Thanks for the wonderful giveaway!!! !